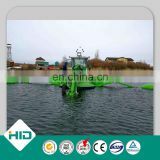 Multifunctional pontoon mounted machine. 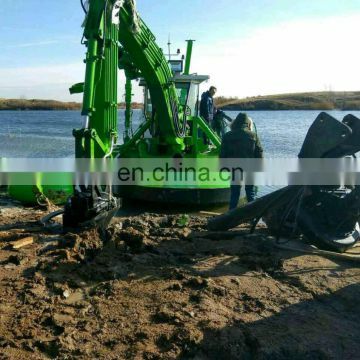 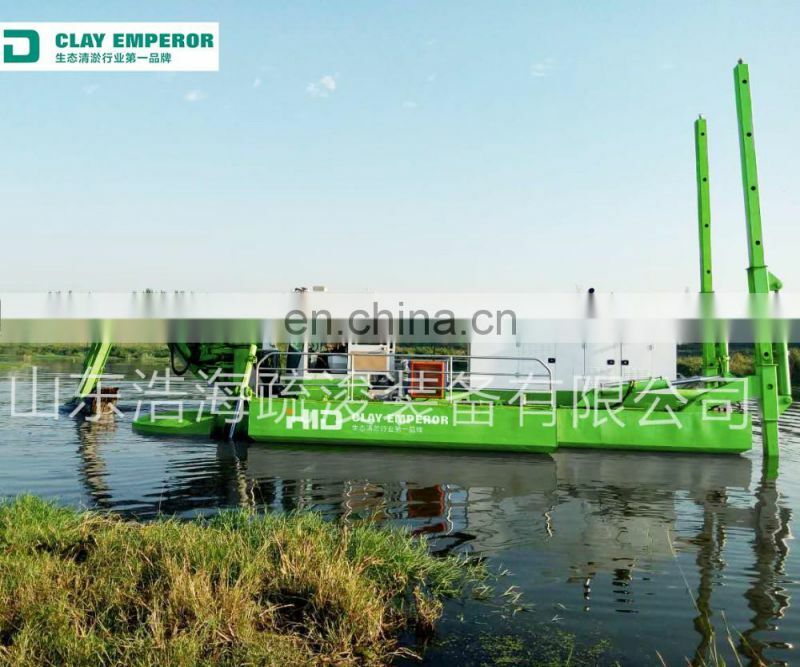 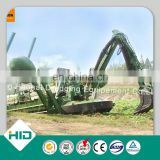 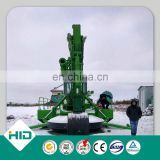 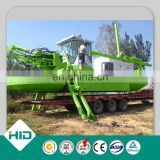 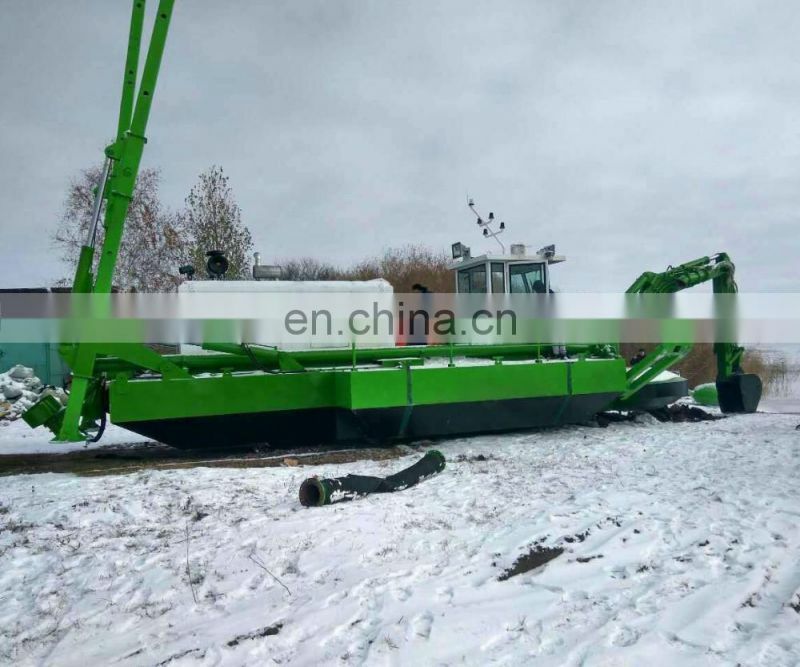 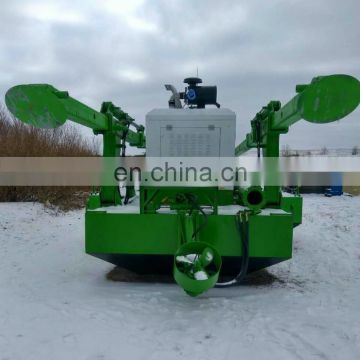 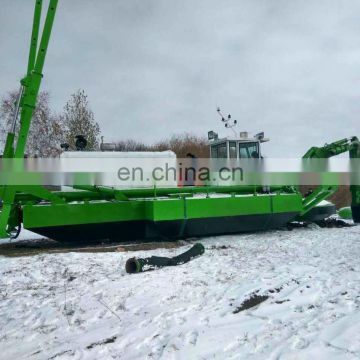 It is a combination of a dredging machine with backhoe bucket and a suction dredger. 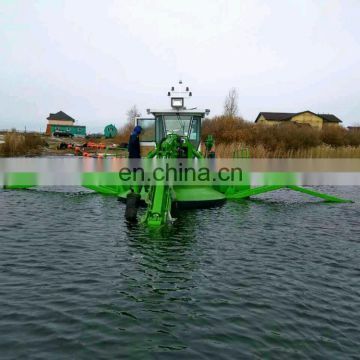 It can cruise at about 4 knots speed by using its own propulsion system and move on dry land by using its excavator arm and tilting back stabilizers.